Capitalise on the rapidly growing tourism in this area. FHGC Bar, Restaurant and Accommodation located on main highway just 10kms north of scenic Westport. Live and work your dream business from this idyllic location. 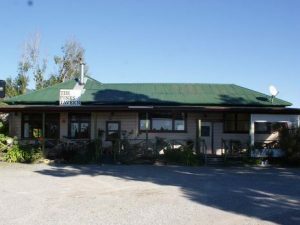 Located just 10 kms north of Westport on the Karamea-Heaphy track Highway 67, we are ideally situated for travellers to explore the Northern Buller. The Pines Tavern consists of a large bar with open plan dining room. There is also a terrace room which leads out to a great garden bar, that can be locked off for overnight visitors to use. There is a southwest facing deck accessed by french doors off the bar, a great covered verandah along the front plus a covered side area all good at various times of the day for sun. A roaring fire in the winter and shady decks and Garden bar in the summer offer the perfect place to relax and rejuvenate. The kitchen area has a servery area opening to the dining/bar and The Banbury Restaurant serves hearty home-style food.